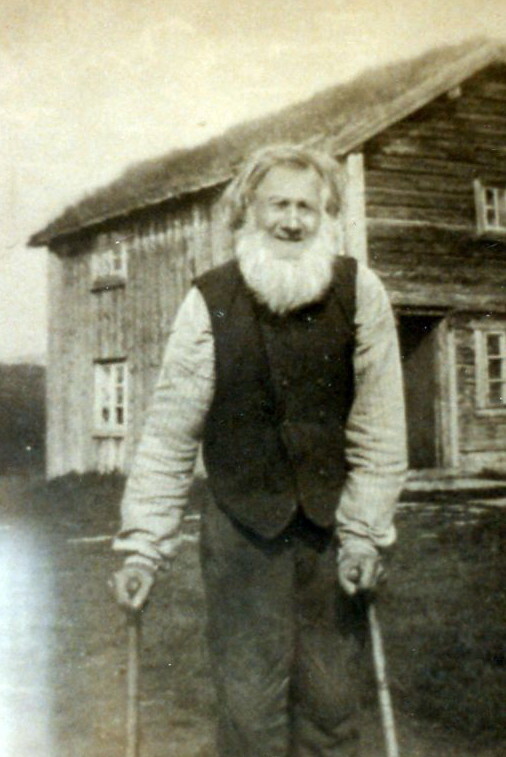 Ola Hannssen Stenoien(1745 – 2/12/1834) was the first resident of the Stenoien (sten oyen or “the stone island”) farm. He moved from Tydalen, and is listed on the 1801 census. The valley was resettled about 1780 because of Selbu Kobberverk, which provided work (hard labor) for the men, who were allowed to settle as tenant farmers with their families. He was the first settler on his farm of that era; the valley was previously settled however was vacated after the great plague decimated the populations of Europe. He married Beret Pedersdr Overvik in 1780 (born in Selbu 1746, died in Stordal at the age of 98 on 6/10/1844 on the family farm). The farm lies in Stordal, near Meraaker in Nord Trondelag. This is east of Trondheim near the Swedish border. The three oldest sons did not settle in Stordal; the family likely arrived in the years just prior to the 1801 census seeking work at the Selbu Copperworks as tenant farmers. Picture of the Sten-oyen farm taken about 1984 in early June. Sweden mountains in the background. This is a picture of the Stenoien farm taken approximately 1984. This was taken in early June; the summers are so cool that the primary crop is grass for the animals; even potatoes were not a sure crop due to the short season. A stream surrounds the front of the farm, hence the term “island.” The annual crop of stones kicked up by the frost accounted for the first name, ‘sten’ means stone in Norwegian. Stordal Kapel was consecrated in 1863 (correction). Peder Larssen did travel to Gordon Township, Minnesota in 1879, after the death of his parents, Lars and Marta. This links to the jubilee 100 years Stordalen Chapel book…. in Norwegian. The names of our early ancestors are quite confusing. My great great grandfather, Ole P. Pedersen, was son of Peder Larssen, was son of Lars Olssen, was son of Ole Hanssen. The only thing we know about Ole’s father is that is first name was certainly Hans! In an effort to distinguish each other, a surname designating their farm residence or place of origin was adopted. Various members of the family adopted and later relinquished the name of Stenoien once they arrived in America (too many vowels?). The family of Hans Larssen Stenoien, initially Stenoien, later took on the name of Larson. My great-grandfather, Ole Pedersen, had two neighbors in Gordon Township with the same name, so he changed his name to Stenoien in order to distinguish his family name. Trondelag, Norway contains Trondheim. Tydal is South of Stordal. Hans Olssen Tevldalen (1778-1860) married Anne Maria Nilsdatter Stordalsvold (1784-1810) in 1804. We know of one son, Ole Hanssen Hansstugu. Peder Olsen Stenoien (Kojdalen) (1782 -12/10/1859) married Sigrid Olsdatter Grubben on 6/27/1813, later Dordi (Stordalen) Johnsdatter 6/17/1842. Anne Margrete (1786 -12/28/1870) married Elling Mikkelsen in 1808, moving to a nearby farm. Elling died in 1809, they had one son. Ola Olssen Gilsaabakken (12/29/1790 -1/12/1883) married Anne Johnsdatter Kojdalen (1796 – 1845) on 9/23/1821. Lars Olssen Stenoien (4/18/1796 – 2/6/1879) married Marta Rebekka Pedersdatter Gilset (1/18/1795 – 2/18/1879) on 12/28/1817. Marta’s parents were Peder Larssen Aspaas (died 1813) who married Marit Olsdatter Graftaas (7/2/1753 -) on 7/10/1784. Peder, along with many valley dwellers, was an employee of the Selbu Kobberwerks. The men worked long hours for little pay, leaving the women and children to largely fend for themselves, at least six days of the week. More iron than copper was actually produced in the valley. The legendary veins of silver, though long sought, were never discovered in the valley. This photo of Lars Olssen Stenoien, pictured in front of the barn, was given to me in 1983 by Norwegian relatives. Look at the thatched roof (about 1879). Beret Larsdatter Stenoien (3/8/1818 – 1/11/1896 in Polk Co, MN) married Jens Arnesen Grontvedt 5/2/1812 – 11/1894 in Polk Co, MN) on 1/16/1838. 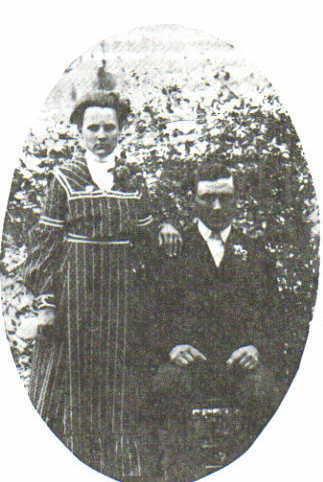 Two of their children traveled with Ole Peder Stenoien to Gordon Township, Todd County Minnesota in 1879 (Anne Mari and Mali Jensdatter). Ola Larssen Stenoien (5/16/1821 -1895) stayed in Stordal. Marit Larsdatter Stenoien (7/3/1830 – 10/26/1900) stayed in Stordal. Marit married Elling Olsen (1827 -) on 10/23/1852. Children Brynhild, Ola and Lars. John Larssen Skomakermo Stenoien (9/1/1836 -11/29/1913) also stayed in Norway. He married Lisbet Pedersen (born 1836), daughter of Petter Pedersen and Ingeborg Pedersdatter) on March 26, 1859. Children Ingeborg 1864 and Lars 1874 listed in the 1875 census. Lars Pederson (Stenoien) (11/18/1846 -) married Lisa J Skordalsvold (about 1854 – 12/23/1895) in Norway. Lisa is buried Salem Church. Peder (1874-), Johanna Pederson Larson (1876-) confirmed Salem church 1890; Ingeborg Serine Larson (1/7/1880-), baptized 1/25/1880, confirmed Salem Church 1894, Oline Pederson (4/10/1882-, baptized 5/11/1882). From 1885 Census. John (1893-) In the 1900 census, he is married to Kari Staflien, with two stepchildren John O. 12 years, Selma 10 years. Nikolai and Kari Staflien attended Salem church. Older sons Lars and Henry were confirmed 1897 and 1899. Lars Stenoien was one of the first to have a binder in his neighborhood, and the neighbors flocked there to satisfy their curiosity and to watch the new machine perform. But when Daniel Danielson Sr. noticed that the camwheel on the binder had stopped ever so often, he rushed up grabbing it to make it turn and had four fingers cut off his hand. Johanna Pedersdatter (4/24/1850 – 1945) married Johannes Johnsen Braekken May 12, 1845 -) July 11, 1873. Their descendants (our cousins) remained in Norway. 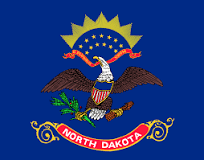 Marta Rebekke Pedersdatter (2/27/1853 – 1/25/1913 in Divide County, ND) married Elias Johannesen Braekken (5/31/1874 – 2/21/1924 Todd Co) on May 31, 1874 in Stordal, Norway. Children Mary (born 9/1874, not listed in 1880 census), Marit Brakken (5/1876 – 7/8/1911 Hanks, ND), John E Brakken (1883-1957), Petra (5/1885 – 1978), Johannes (1887-1918), Ole E (8/1898 – 1966), Peder E. (9/1891 – 1986), Emil Robert (12/1893 – 1986), Arthur (April 7, 1895, baptized 4/21/1895, not listed in 1900 census), Ella M (12/1896 -1966). Johannes Pederson (10/10/1855 – ), at farm in Norway 1875 census, lived with Ole P Stenoien in 1910, joined Salem Church January 1886.He married Gidskin Ingebrigtsdatter (April 13, 1865-4/25/1888) on 12/27/1884 at Salem Church. Gidskin died in childbirth at age 23. On both the 1895 and 1900 census, Johannes is living with daughter Ingeborg (April 1888-). There is a Gidsken Pederson born April 1888 who is lodging with Sivert and Sarah Halvorson on the 1900 census. On the 1905 Census he is living with Lars and Kirstin Stenoien and family. Johannes Stenoien, saw alot of heartbreak in his life. Kirsti Pedersen (5/1/1858 – 1/18/1943) came to St. Paul in 1879 on the steamship Tasso, married cousin Lars Stenoien Larson in 1881 (see below). Ola Pederson Stenoien (2/15/1861 -) married Johanna Svendsdatter Steinmo (2/21/1864 -) see below. Ingeborg (1/30/1864 -6/30/1930) came to St. Paul in 1879 on the steamship Tasso, married Bernt Brakken, brother to Elias. 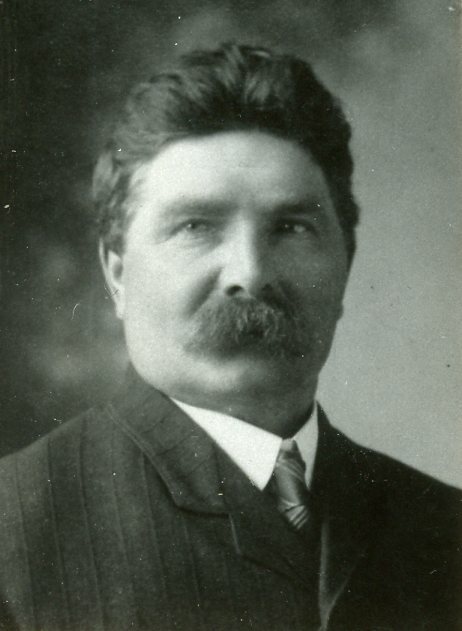 Peder Pederson (9/17/1866 -3/25/1895) came to Quebec from Norway in 1879 on the steamship Tasso with his parents. The story of Per P Stenoien, buried at Salem Church Cemetery, is a tragic one. I believe he married Karin P (Born Goodhue County Minnesota in 1868, (died 11/26/1894). There is a Peder P. living with Peder and Ingeborg Stenoien at the time of the 1885 census. Peder born 11/19/1888, baptized 10/30/1888, Thorsten 97/28/1890 -), baptized 8/17/1890, Theodor P. (6/20/1892-1/8/1894), baptized 8/21/1892. At the time of the Stordal, North Trondelag, Norway census in 1875, the family had 1 horse, 6 cattle, 8 sheep. Peder is listed as a smelter (miner) ved Gilsaahytte og driver Pladsen. Johannes, Kirsti, Ole, Ingebor and Peder lived at home. Parents Lars Olsen 2 cows and 1 sheep) and Marta Rebekka Pedersdatter lived with the family. The farm was owned by Selbu Vaerk. Kretsnr 11, Meraaker, bustad 7, Stenoien paa stordal, gardnr 546. On April 28th, 1869, our family’s first documented emigrants from Meraaker, Stordal departed from Trondheim on the ship Franklin, destination Quebec. Included in the party were Jens. J Skaardalsvold (43), Sara Skaardalsvold (44), Johannes Skaardalsvold (15), Elisa Skaardalsvold (11), Thorsten Skaardalsvold (8.5), Marit Pedersdatter (tjenestepige 22), John Peterson Rotvold (19), Lars P Stenoien (son of Peder Larssen Stenoien, age 22). The Franklin was owned by Chr. Paus and Hans Hauen in Skien. The Franklin sailed with emigrants from Norway to Quebec 1867 – 1871. Master was Christian Winsnes. In 1869 the “ship” [most likely she was rigged as a bark like the year before and after] Franklin departed from Trondheim Apr. 28, and arrived at Quebec June 18. She was sailing in ballast, and was carrying 303 steerage passengers and 3 cabin passengers. There was an outbreak of Small Pox on board. When the ship arrived to the quarantine station at Grossele, four were sick. Three deaths had occurred on the voyage, a woman of phthisis (wasting away), and two children of diarrhoea and wasting away. Mastered by Capt. Chr. Winsnes, and a crew of 15. Lars P Stenoien and fellow travelers sailed to Quebec, Canada in a ship of this class in 1869. Marit Pedersdatter was the servant girl of the Skordalsvold family on the 1869 journey. 1879 Steamship Tasso from Trondheim to Hull, England. The Allan line then transported the passengers to Quebec, Canada. By the time the rest of the family emigrated, steamships had largely taken over the sailing ship routes. 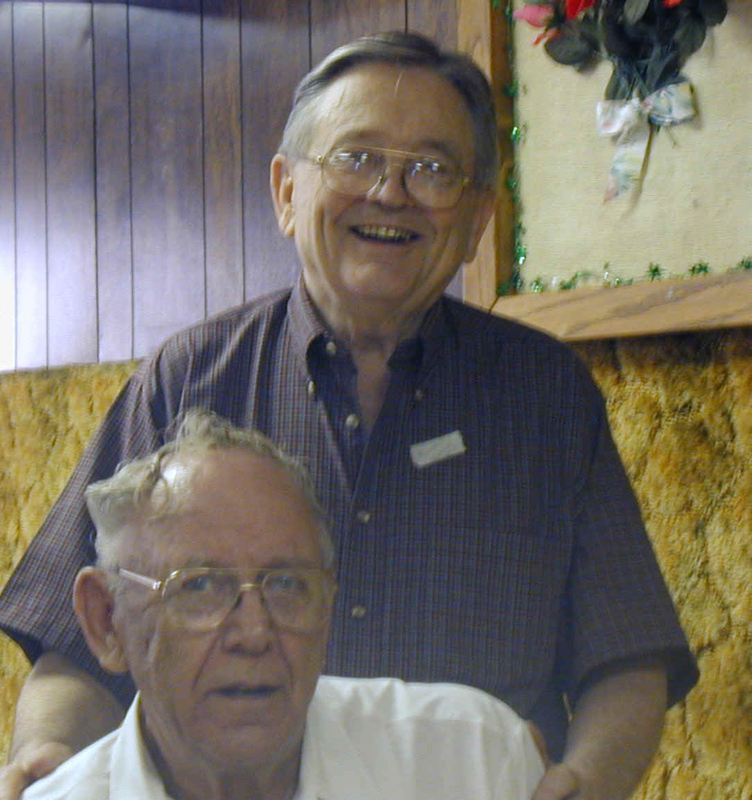 After the death of father Lars Olsen and mother Marta on the Stenoien farm in Stordal, Meraker, Norway, the remaining members of the Stenoien family departed for Gordon Township, Todd County, Minnesota. 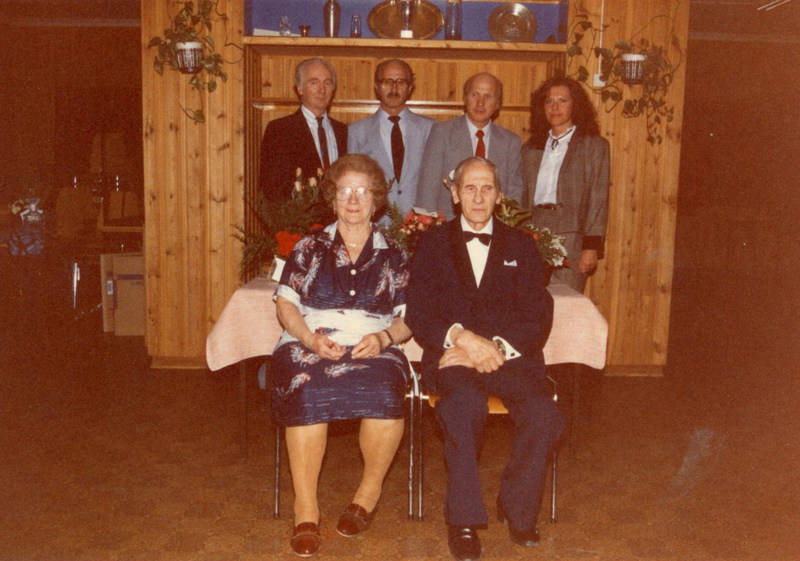 The party included Peder Larssen (55), Ingeborg Larssen (55), Kirsti Pedersen (21), Ole Peder Larssen Stenoien (16, my great-grandfather), Ingeborg Pederson (15), Mali Jensdatter (24), Ane Marie Jensdatter (18), Peder Jenssen (0.5). The steamship traveled from Trondheim, to Kristiansund and thence to Hull, England. There, the Allan line sailed to Quebec. Overland, they would travel by train to Osakis, Minnesota. According to family lore, Johanna Svensdatter Gillan traveled with the group however I find no evidence in steerage records to support this. I believe she remained in Norway and married her sweetheart. Hans Larssen Stenoien (7/5/1832 – 1910), the younger brother of Peder Larssen Stenoien was one of the earlier immigrants in our family. According to the 2000 census, he and his wife arrived in 1865. They settled initially in Wanamingo, Goodhue Co, MN. He moved to Little Sauk Township in 1871, settling near Maple lake. He married Marit Pedersdatter (April 10, 1836 -11/11/1911) on 11/1/1856. He was the “klokker,” or lead singer for Gordon (later Salem) church. At the time of the 1885 and 1900 census, Marit’s mother, Kate Johannesdatter (1816-) lived with the family; she arrived in 1872. With the exception of Lars Hanssen Stenoien, the majority of the family eventually moved out of Gordon Township. The children were baptized Stenoien, but later kept the name Larson. Kjersten ‘Katie’ Larson (2/1/1857 – 1/18/1943 in Hennepin County, Minnesota) married Thomas Thompson (1856 – 1920) in 1885. 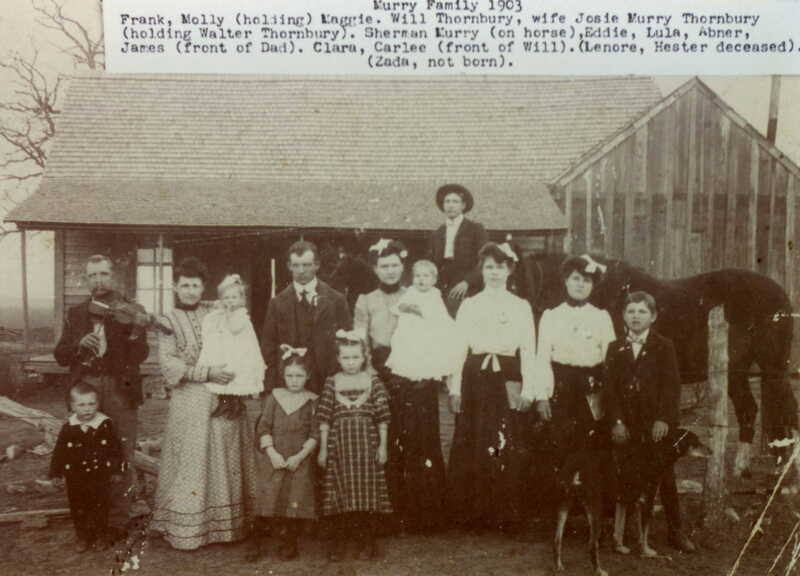 Children: Mathilda Thompson (1884 -), Gilbert Thompson (1887 -), Hattie Munda Thompson (1889 – 1951) married David Andrew Nelson (1885 – 1941), twins Lillian K ‘Lillie’ and Matilda J ‘Tillie’ Thompson 1892, Ida Gurine ‘Kitty’ Thompson (1894 – 1975) married Bertis Harvey Lechner, Otis Melvin Thompson (1896-), Clara Sirine Thompson (1900 – 1944) married Gerald Joseph Monley. They moved from Gordon Township to Grand Prairie, later Grand Forks, ND (1900 Census). Lars Hanssen Larson (3/1861 -4/9/1915) married Kjersti/Kirstin Pederson Stenoien (5/1858 -), his cousin 11/25/1880 at Salem Church. They farmed in Little Sauk Township. (children: Marit (11/8/1881-), baptized 4/9/1881, confirmed 1897 Salem Church (she married Alex Goodrie, twin sons Ralph Stenoien and Russell Goodrie), Ingeborg Larson (1882-1959) confirmed 1897 Salem Church, Karen Margrethe (9/25/1884-4/15/1890), baptized 10/12/1884, Hans Stenoien Larson (9/8/1886-2/16/1965) confirmed 1901 Salem Church, Peder (1888-) confirmed 1902 Salem Church, Karen Margrethe (6/3/1890-) baptized 6/29/1890, Martha R (1893-) married Frank Goodrie in 1913, Karl Pauli (7/10/1895-) baptized 9/1/1895, Selmer George (5/5/1897-1983) baptized 6/7/1897, Laura Karolina (5/14/1900-) baptized 5/27/1900, Klarance Julius (8/3/1902-) baptized 8/24/1902. When the Salem church split, they joined the Sauk Valley Congregation. Lars is buried at the Salem church cemetery (Lars H Larson). Nellie Pauline Larson (Dec 3, 1865 – not on 1880 census), baptized on Jan 6, 1866 at Holden Lutheran Church, Goodhue Co, MN (witnesses Lars Larsen Gjemse and Kirsti Olsdr), confirmed Salem Church 1881. Ole Larson (1866-1869) in Goodhue Co, MN. Ole Hanssen Larson (1/5/1870 in Goodhue County, MN- 3/1/1952 in Britton, Marshall Co, SD) married Climina Melissa Conant, confirmed Salem Church 1885. Children Clarence H Larson (1905-), Laurence S Larson (1907 – 1980), Otis or George C Larson (1909-), James A Larson (1911 -), Dora Marie Larson (1915 -2006), private Larson, Theodore Alfred Larson ( – 1990). Henry Martin Larson (3/18/1874 – 11/23/1960), confirmed 1889 Salem Church, parents Hans and Anne Stenoien (perhaps Marit was ill and older sister Anne stepped in? ), married Annie Aas, later Atchie. Moved to Grand Forks, ND. Peter Johan Larson (11/1876 -) confirmed 12/4/1891 Salem Church, parents Hans and Marit Stenoien. In the 1875 census, Hans Larssen, Marit, Kristin, Martha, Lars, Anne, Nelle, Ole and Henry are listed. In the 1880 census, Lars, Nellie, Ole, Henry, Johnny and Betsy S are listed. At the time of the 1885 census, Ole, Henry, Peter J and Betsy and Kate’s mother were in residence, leaving me to believe that Johnny was deceased. The region our ancestors settled, Gordon Township, reputedly was visited by Viking explorers in 1362. 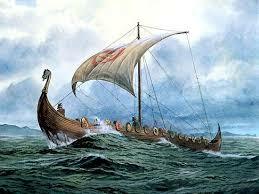 They were said to have sailed on Lake Osakis. The area served as a boundary between the Sioux plains Indians to the west, and the wooded Chippewa to the east. The first government stage route traveled from St. Paul to Abercrombie, ND, passing through the area. The first settlers in 1857 were Mary Gordon and her five sons. The great Indian uprising in the 1860’s uprooted the settlers living there. This ended in 1866, about the time our ancestors began to arrive. The local churches played a large role in the lives of our ancestors. The church was not only a religious and spiritual center, but also the only social outlet. Settlers were quite isolated on their homesteads. The original Lutheran church was Little Sauk Long Bridge church. In 1872, the Gordon Church was built. Hans Larson Stenoien was trustee of the church. Initially, it consisted of a cabin and was called the West Church, part of Little Sauk Church. It was incorporated 11/26/1878 as the Salem Church. By 1883, geographical considerations mandated building a new church to the southwest, Sauk Valley Church. The Stordal congregation stayed. The Augsburg strife, as well as conflict within the church regarding expansion, did finally split the congregation in 1896. The Stordal group built the modern Salem Church building. Hans Larson Stenoien furnished lumber for the pulpit in 1899. Harriet Overvig attended Salem church as a young girl. During the 1920’s, services were still exclusively in Norwegian. She remembers the frustration of her father, who felt that children should be fully fluent in both Norwegian and English. This was apparently a common opinion of our Norwegian forefathers. Preayer books, catechisms and hymnals were obtained in Norwegian. 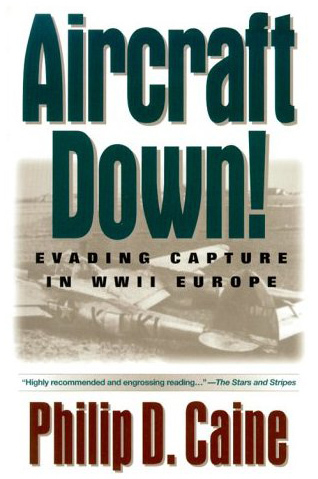 However, a conversion to English soon ensued. Education was important to our ancestors. School district 63 was organized in 1879, the site was donated by Lars and Ingebor Danielson. 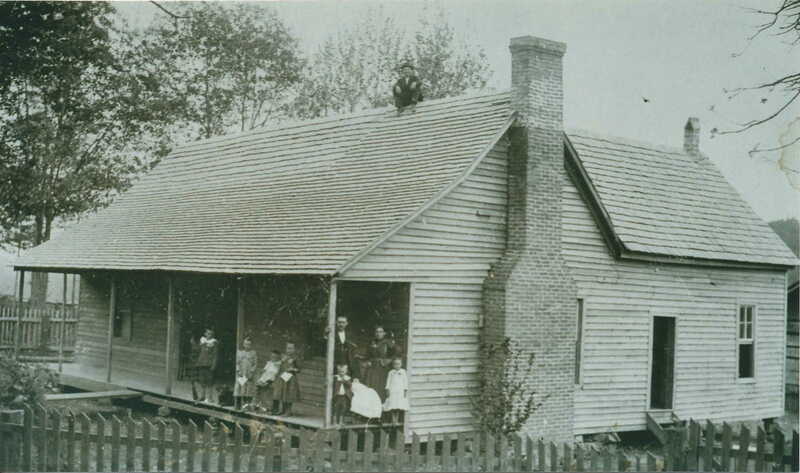 The first school house was built from logs. 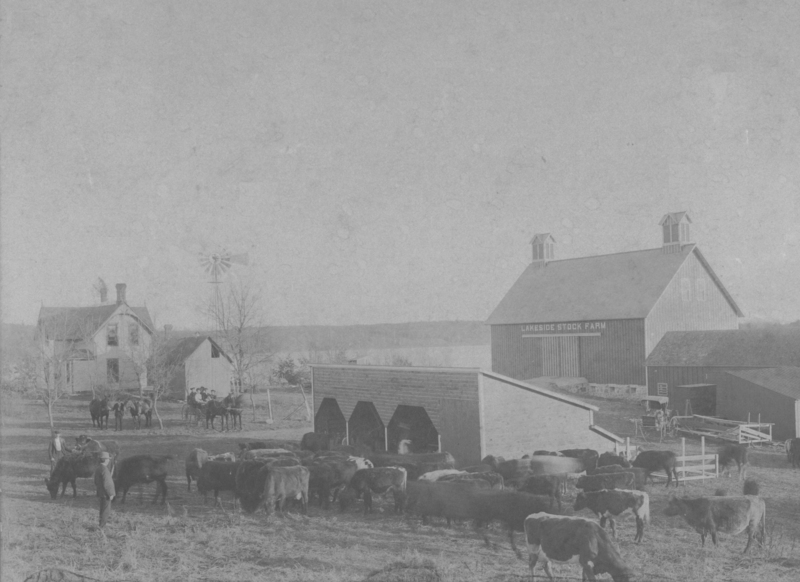 In 1886, the school house was sold and moved to the farm northwest from the schoolhouse. A new school house was then rebuilt. The first desks and benches were handmade by L. S. Aus in 1882. There was only three months a year. The salary of the first teacher was $32.56. School district 68 was organized in 1880. The first school teacher was J. J. Skordalsvold, brother of Lisa who was married to Lars Stenoien.